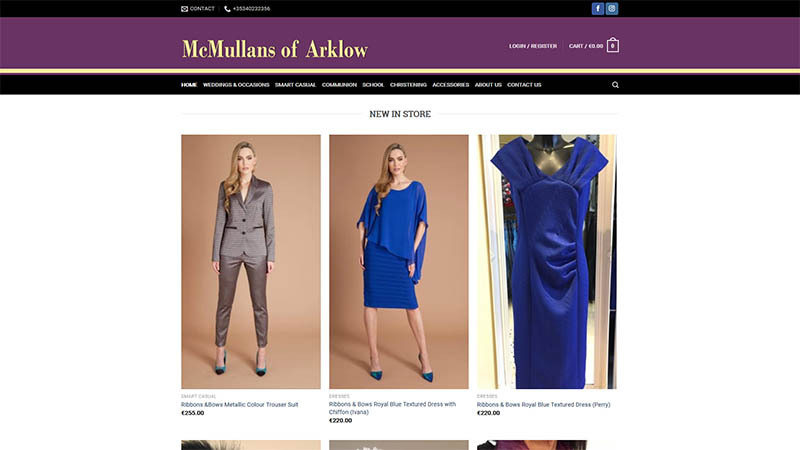 McMullans of Arklow is clothes shop on the Main Street of Arklow. 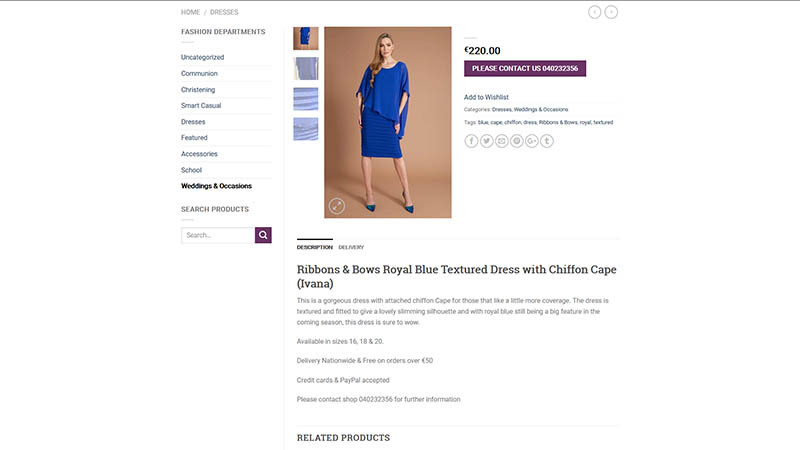 McMullans has been trading since 1928 and feel their personal touch is all apart of buying an outfit. 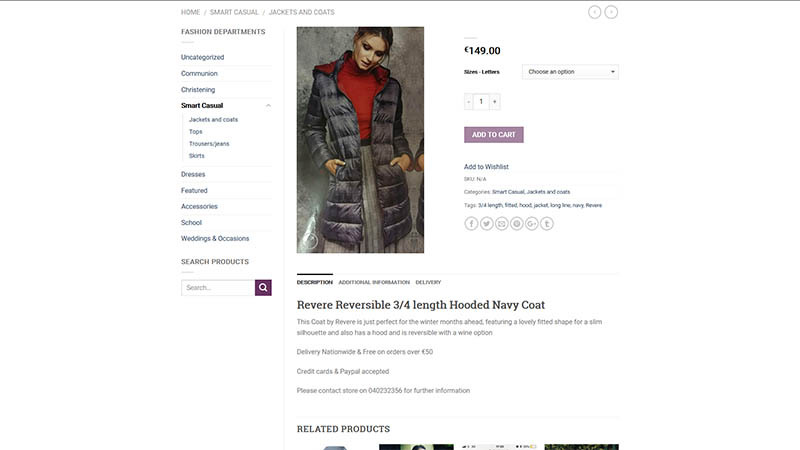 With their quickly changing stock, McMullans wanted a easy to use website with the ability for them to offer some items for sale online and some shown as a catalogue and to inquire in store.